The Progressive Communicators Network’s (PCN) mission was to strengthen and amplify the power, voices and vision of grassroots movements that are working for racial, social, economic and environmental justice. PCN participants used communication strategy, framing and messaging, and media tools to: 1) enhance the influence of social change movements on public policy and opinion; and 2) realize a world without poverty, racism and other forms of oppression. PCN grew from the recognition that democracy demands an informed citizenry. Communication tools in general, and the media in particular, are indispensable tools for reaching these citizens. PCN served a vital purpose of bringing grassroots communications practitioners together to collaborate across issues, geography and social diversity. PCN was deeply committed to supporting practitioners who represented groups that focused on grassroots and communities of struggle, and was profoundly intentional in the way it approaches diversity and recruitment. The result was an effective gathering of grassroots communicators who shared resources and experience between the local, regional and national levels. National network participants came from a wide range of backgrounds, including 24 states and Washington, DC. A majority were people of color and ages ranged from 20s to 60s. People worked as consultants, staff members of communications training organizations and communication directors, among other roles. A small sampling of the issues participants worked on included: criminal justice, economic justice, racial justice, environmental issues, lesbian/gay/bisexual/transgender rights, labor rights, child care, youth organizing and border issues. National Gatherings: For twelve years (2000 – 2012) the Network connected a national group of strategists and communicators who identified gaps in progressive communication infrastructure and developed plans to fill these gaps and increase the reach and effectiveness of progressive work. Participants were able to step out of their day-to-day work to consider long-term, visionary solutions for truly effective change making. The gatherings were central to all of PCN’s activities and the connections made there rippled far beyond the three days of the gathering, including support and cross-training at each other’s events, sharing of resources and ideas on the PCN listserv, and the development of events and programs. In 2001, meeting only ten days after the tragic events of 9/11, PCN developed Communications Strategies and Tips for Grassroots Organizations Responding to the Tragic Events of September 11, 2001 and the Media Aftermath, a training report with web links prepared after the gathering. This document was posted on PCN participants’ websites and distributed to social change groups with which they were working. 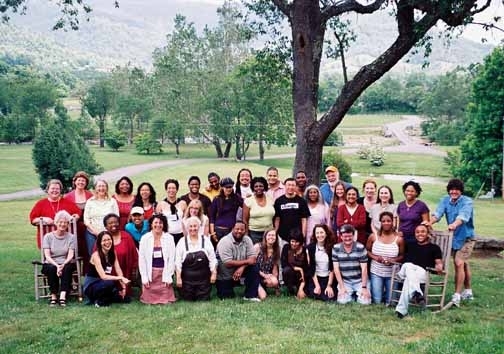 A group of PCN members were so inspired by a messaging development activity at the 2004 gathering that they organized a convening in April 2005 for criminal justice communicators from across a range of political approaches and strategies to look at messages in the criminal justice field. 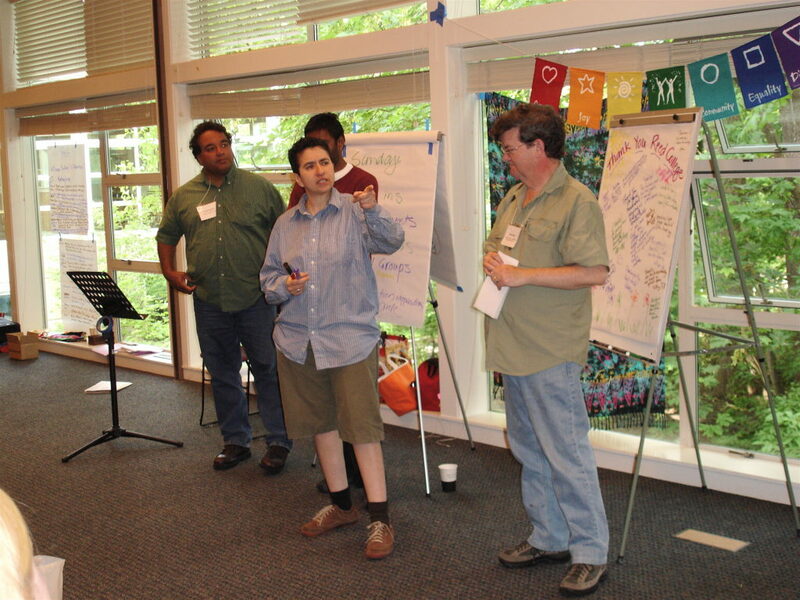 Participants were able to work together effectively because they shared a vision of creating core strategic messages that all of them could use whether they were working to improve conditions in prison, reduce the suffering of people in prison and people in communities targeted by imprisonment, or challenge the institution of the prison altogether. Their key criterion for doing messaging work is that they will do no harm to others working in the field, using different strategies. In the spring of 2004, PCN co-sponsored with the Spin Project book tour events for Loud and Clear in an Election Year in places such as Seattle, New York, Boston and Chicago. This tour exposed grassroots organizations and community advocates to a resource for aiding them in doing communications work in the increasingly complex and regulated area of issues communications in electoral seasons. It also helped to seed the development of regional work and connections among PCN participants. Boston-based PCN members used the event as a kick-off for the first official regional chapter of the PCN. Ability to Work Collaboratively: PCN fostered the development of a group of peers who provided support and advice to each other in their work as progressive communicators. 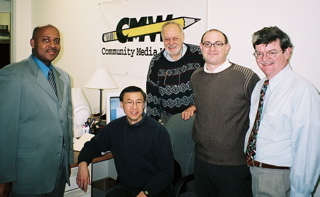 For example, the director of the Public News Service, a public interest news service for grassroots organizations worked with PCN members she met at gatherings to organize new state bureaus and, thus, increased the flow of grassroots voices to mainstream radio outlets across the country. Overcoming Obstacles to Unity: PCN’s commitment to diversity allowed members to be a living model for bringing a broad range of voices, particularly those that are underrepresented, into the mainstream. 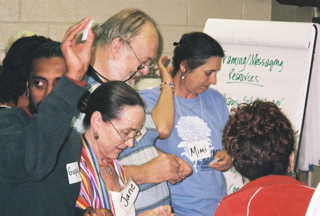 Strengthening Movement-Building Capacity: With members connected both to community-based issue groups and the communications field at local, regional, and national levels, PCN helped build bridges between these sectors. Growth of Communication Projects: Thanks to the work of PCN, members of the network went on to create such organizations as The Center for Media Justice and the SPIN Project. Rapid Response / Supporting Alliances: The web of relationships and infrastructure created by PCN supported rapid organizing and response to social and political realities. PCNers and PCN staff, for example, were instrumental in quickly launching the Katrina Information Network (KIN) and its sister sites, KatrinaAction.org in 2005 and a site specifically for the media, KatrinaInfoNet.net. These served as information and action clearinghouse. KIN shared expert viewpoints and action from the communities that were devastated by Katrina, with up-to-the-minute news and analysis. The websites highlighted independent content produced in or about the Gulf Coast. In another example of rapid response in May 2010 PCN assisted with a media briefing in support of Arizona-based groups organizing a national day of action to protest AZ SB 1070. Be the Media: Raise Every Voice! was an annual mini-conference organized by the Boston / New England chapter. Thirty to seventy participants attended each year coming from groups such as Association for Haitian Women, Deported Diaspora, Family Resource Center, Community Labor United, Massachusetts Immigrants and Refugee Rights Coalition, Irish Immigration Center, Reflect and Strengthen, and United for a Fair Economy. Each year an opening panel gave an overview of the year’s theme, and then participants choose between morning and afternoon workshops on topics such as Strategic Communications Basics, Framing for Racial Justice, Using Social Media to Make Change, Adapting Strategies in a Rapidly Changing World, Using the Arts for Creative Messaging and Going Viral. Along with an overview of how communications can be use strategically to make change, participants were given practical tools for improv ing their communication work. Read more about Be the Media! Tele-Strategy calls for practitioners and funders on developing new strategies for new times: PCN and active PCNers thought about and spoke about the opportunities and imperatives to strengthen communications as a tool for change that will substantively impact U.S. culture, consciousness, and political policies. We were challenged to create understanding and awareness of the critical need for communications and how it is intertwined with organizing. In May 2010 PCN sponsored a series of tele-briefings focused on funders to increase awareness. Over a hundred people registered for the calls and the feedback was positive. As with all PCN events, the calls also created a context for communication peers to exchange ideas about the state of the field and strategize about how to confront challenges. Briefing Paper: In 2007, PCN produced its major briefing paper Raise Every Voice: Strategic Communications & Progressive Change Making, a key tool in advocating for the field of strategic communication. Connections to well over 1,500 grassroots groups across the country through those communicators in the network who worked with multiple organizations.